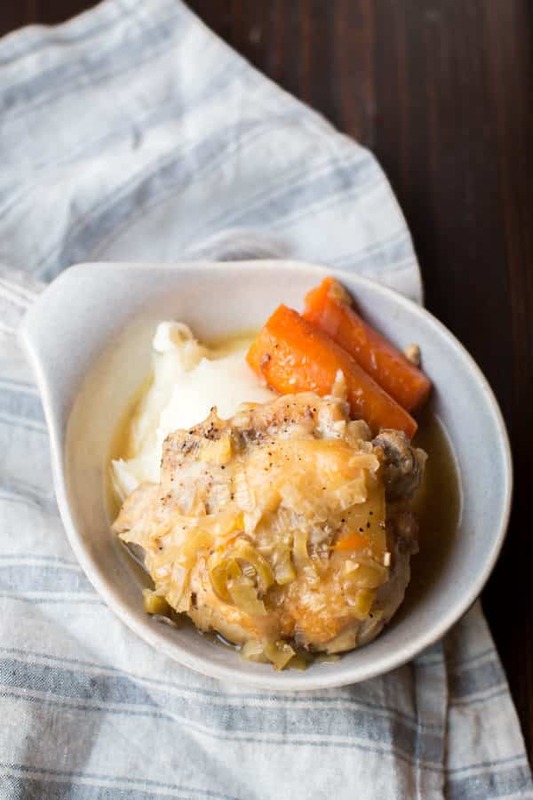 Slow Cooker Leek Chicken is a wonderful comforting meal and goes great along side mashed potatoes or rice. 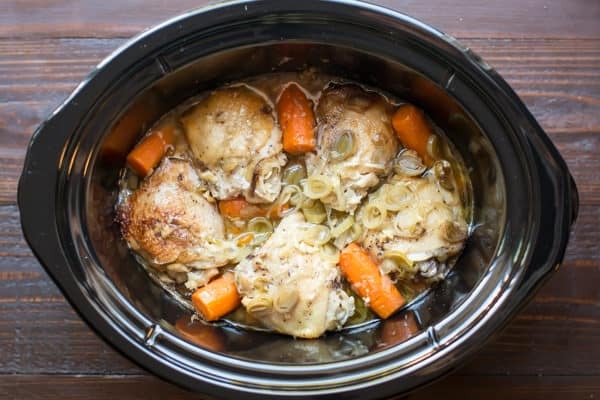 This Slow Cooker Leek Chicken was an idea that came to me after I made a vintage recipe a few weeks ago that had a ton of leeks in it, that recipe is Slow Cooker Homemade Potato Soup. That recipe smelled so good while cooking and I thought I needed to make something again soon that had a ton of leeks in it that wasn’t a soup recipe. Be careful with leeks, they can have sand in them, the sand is very visible. You can rinse the leeks after they are sliced or before if you cut them length wise and spread out the layers. 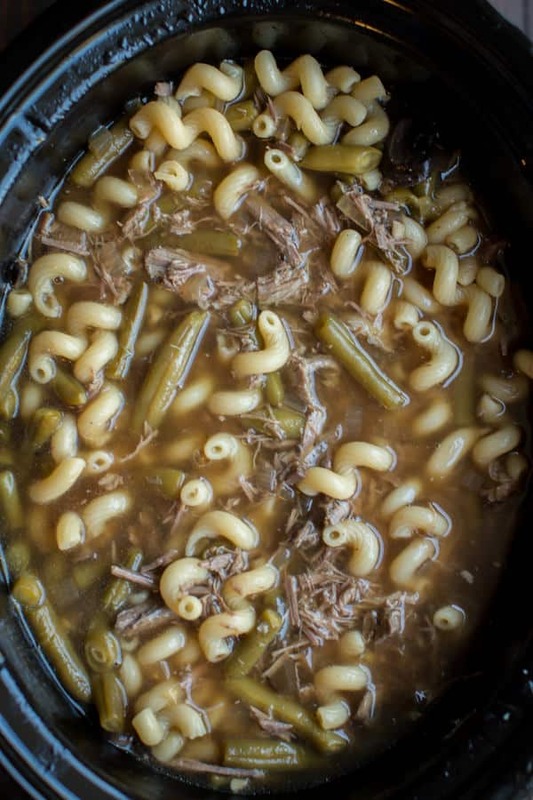 This recipe is mostly flavored by the leeks and 4 cloves of garlic. Not much else is needed to make this dish shine, plenty of flavor from that and the chicken thighs themselves. I made homemade mashed potatoes to go with this. I usually avoid making mashed potatoes, but the whole family enjoys it so much I have to do it once in a while. I had heavy cream in my fridge and that makes the BEST potatoes. 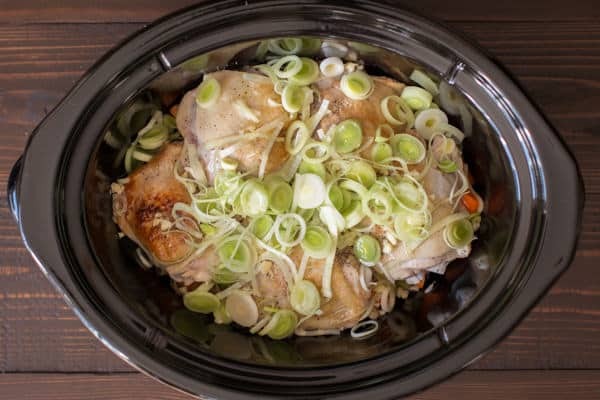 The sauce that is made while this dish cooks is great, it’s flavored with leeks, garlic, butter and the chicken juices. 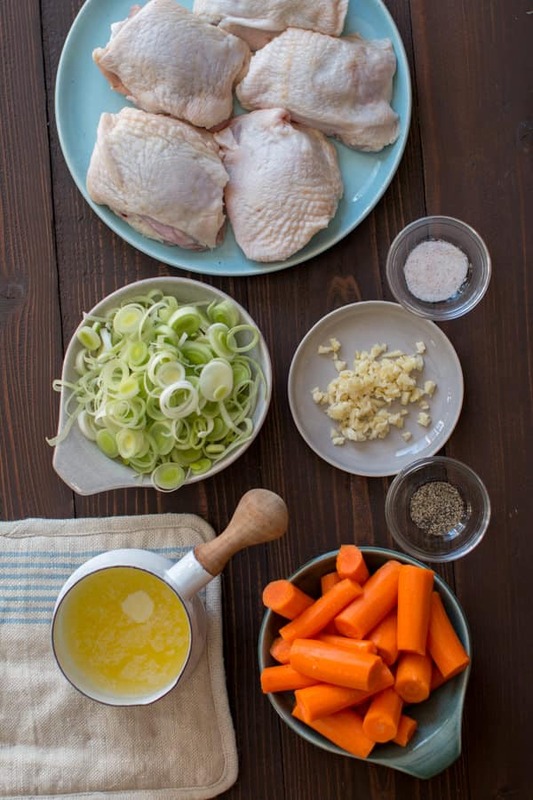 Be sure to ladle those juices over the chicken on the plates. 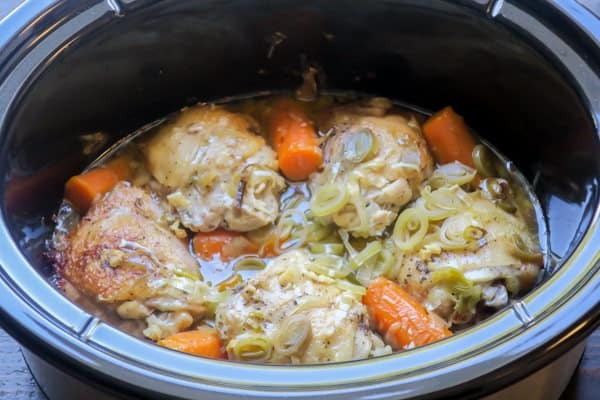 Here is my YouTube video about how to make this Slow Cooker Leek Chicken. 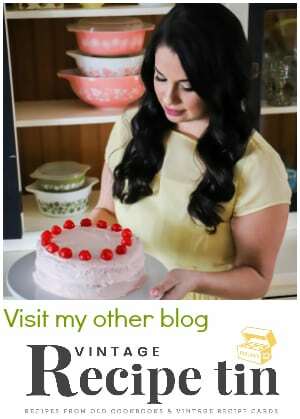 You can follow me on YouTube, here. 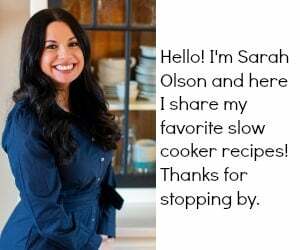 I hope you give this new recipe a try! It’s great comfort food, would be nice for a Sunday dinner. Have a great weekend! In a medium-sized pan set on medium high heat on the stove top add enough cooking oil to coat the pan. Brown the chicken on both sides. Remove from heat. Add the carrots to the slow cooker and half the leeks. Add the chicken. Sprinkle over the salt, pepper and garlic. Add the remaining leeks and pour over the butter. 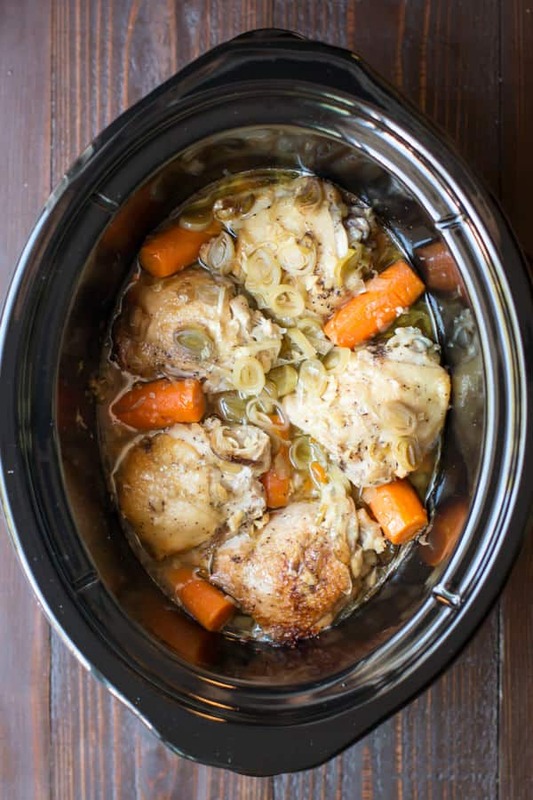 Serve the chicken and carrots along side mashed potatoes or rice and drizzle over the sauce that is in the slow cooker. 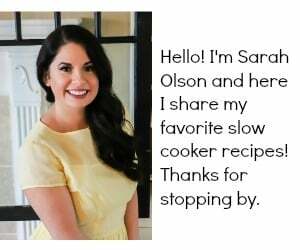 I used my 6-quart Crock-Pot® for this recipe. 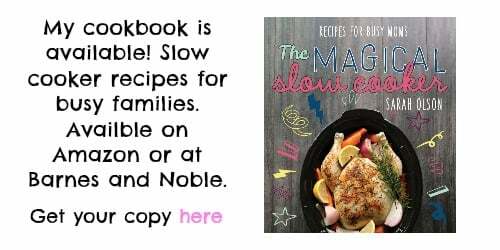 I recommend a 5-quart or larger slow cooker for this recipe. Hi! My husband isn’t a big fan of chicken thighs, prefers breast over all other parts. Any recommendations to ensure it doesn’t dry out? Thanks, I was just about to ask this! I’m sure you could. I’m unsure how much time.